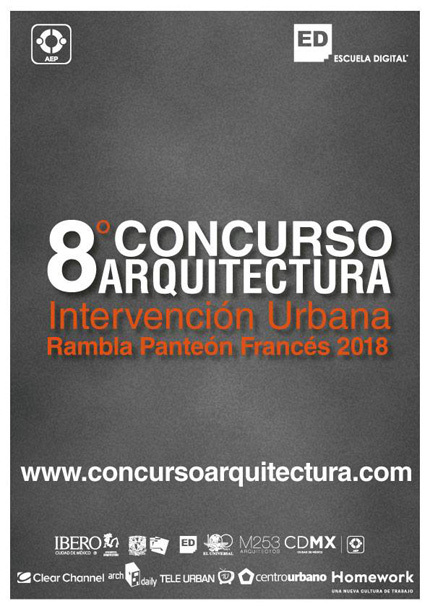 Rambla French Pantheon Ideas Competition 2018. Mexico City, Mexico. The project to be carried out is a rambla in the western area of ​​the Cuauhtémoc Avenue that links the Hospital and Metro Medical Center with Plaza Delta.”. This entry was posted on Friday, July 13th, 2018 at 11:15 and is filed under calls, competitions and prizes, news, paisea, public space, urbanism, without category. You can follow any responses to this entry through the RSS 2.0 feed. Both comments and pings are currently closed.